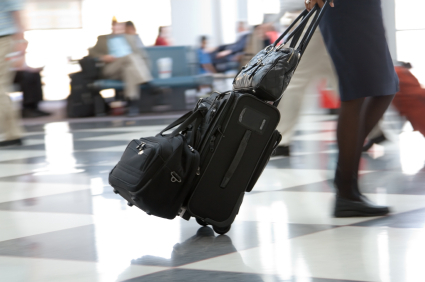 The 3-1-1 rule has been around since 2006, but the policy continues to vex travelers. What, exactly, consyitutes a liquid in the eyes of the Transportation Security Administration (TSA), and when does the TSA make exceptions? I tackled this question a few months ago, but as is often the case with complicated airline safety regulations, those answers only spawned more questions. So let’s take a look at a few of the inquiries that readers posted to that article. The TSA makes exceptions for liquid medications, but there are a few things you need to do. First, place any medications in a separate zip-top bag—not the same bag you use for your other liquids. Then declare your medications to TSA screeners at the airport and present the items for additional screening at the X-ray machine. I had to call the TSA about this one because no mention of moist baby wipes appears on the TSA website. I was told that moist wipes are allowed in any quantity or container. Skeptical, I asked, “So I could just buy box of these wipes and toss them in my carry-on?” Yes, was the answer. So there you go. In short, yes. Duty-free liquid items purchased beyond security are permissible, but be careful not to exceed your maximum allowable carry-on limit. If you plan on making a large duty-free purchase at the airport, your shopping bag may be considered a personal item, so try to limit your purchases to items that can fit in your carry-on. This is absolutely correct. If you are returning to the U.S. and have a connection in the States, transfer your duty-free liquids to your checked bags. TSA will confiscate oversized liquids even if they are in an official tamper-evident bag. That’s it for this round of liquid questions, but I’m sure the book is far from closed. If you have any tips for dealing with the 3-1-1 rule, share them below. And as always, share your travel-related questions in a comment below or shoot me an email. Thanks!